Manitoba will provide free health care to overseas students! Overseas students in Canada studying in the post secondary high schools at Manitoba will be provided free health care facilities. The dependents of the foreign students will also benefit from this plan because Manitoba is planning to extend their services to them also. This plan will come into effect from April 2012. The health care scheme of Manitoba will help in saving $400 for every overseas student in Canada. At present Manitoba has nearly 3,200 overseas students pursuing education from high schools or post secondary institutes. 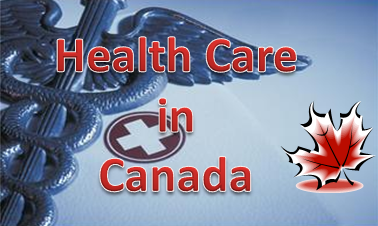 The health care plan of Manitoba aims at attracting improved number of international students to Canada. Government of Canada expects that overseas students who choose to study in Manitoba will decide to stay in the country permanently. Tyler Blashko, Vice President Advocate of University of Winnipeg Students’ Association states that Manitoba is following British Columbia, Saskatchewan and Newfoundland for offering health care to foreign students. Blasko expressed that overseas students are quite happy about the new plan because these students at present are paying the tuition fees 3 times more than the local students. Manitoba Director of the Canadian Taxpayers Federation is not happy with the move of providing free heath care because according to him the economic condition of the country is not stable and this move can further complicate the economic conditions of the country. He said that government should think about attracting the foreign students but not at such high cost. To benefit from this scheme the students studying in the high schools of Manitoba will have to register themselves for the Student Health Insurance Scheme. According to Marakary Bayo, the Chairman of Canadian Federation of Students said that the move is quite fare and the province should support the program because overseas students create jobs which is good for the country’s economy.